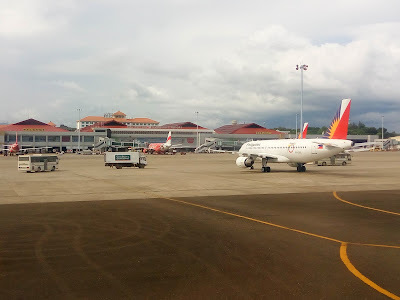 Aviation Updates Philippines - Several flights of Philippine Airlines and Cebu Pacific were cancelled on Sunday as Typhoon Nina (international name: Nock-Ten) moved closer to the Bicol region. Passengers of the affected flights were advised to contact the airlines for rebooking or refund options. Four areas, namely Catanduanes, Albay, Camarines Norte, and Camarines Sur, were placed under tropical cyclone warning signal number 3 Sunday morning due to the typhoon. The state weather bureau said the typhoon is expected to make landfall in Catanduanes late Sunday and exit the Philippine area of responsibility by Wednesday.